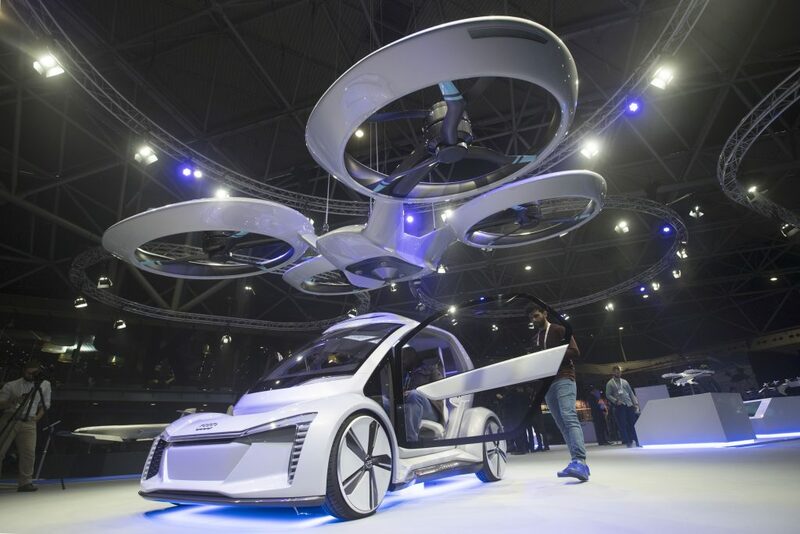 A scale model of a flying drone-car mashup has driven and hovered across an Amsterdam exhibition hall, providing a glimpse of what could be the future of urban mobility. 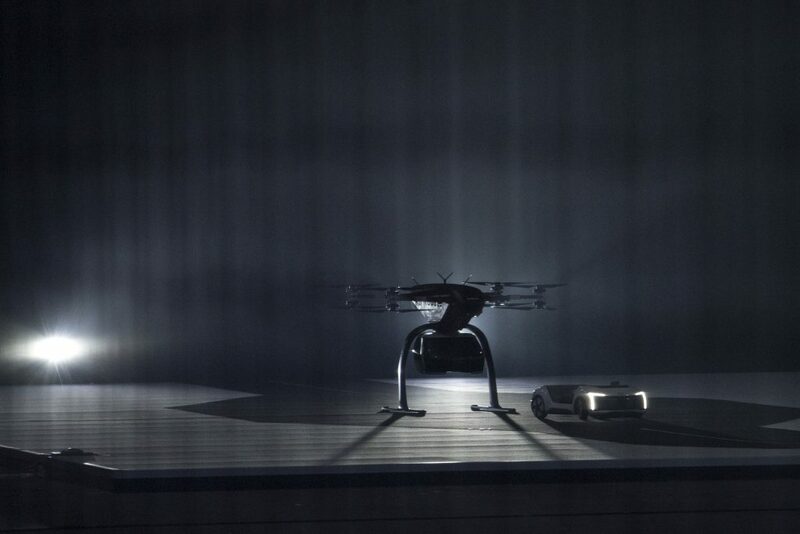 The “Pop.Up Next” prototype drone, being developed by aviation giant Airbus, automaker Audi and Italdesign design house is made up of three separate modules — a chassis with wheels, a two-seat capsule for passengers, and a four-rotor drone. The concept has been shown before, but a one-quarter size scale model made its maiden public flight Tuesday at the Amsterdam Drone Week convention. Just don’t plan on hailing such an airborne ride any time soon. Airbus executive Jean Brice Demont estimates it will take more than a decade for a large-scale rollout of such a service.